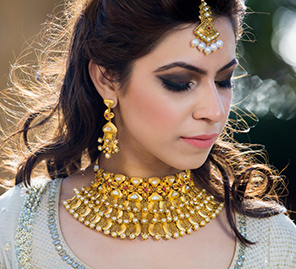 Experience the gorgeous transformation of three lucky brides at WeddingSutra on Location at JW Marriott Mumbai Juhu. 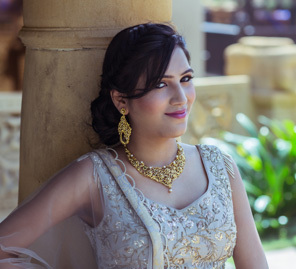 We hosted the latest edition of WeddingSutra On Location at JW Marriott Mumbai Juhu, to showcase the top bridal trends and style statements from some of WeddingSutra Favorites. 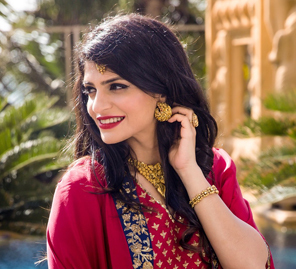 The beautiful and bespoke jewellery from Azva, the flawless makeup by Shaili Shah for Lakme Absolute and brilliant photography by WeddingSutra Favorite Knotting Bells turned this into a very glamorous experience. The jewellery by Azva perfectly complemented the stunning designer outfits by SVA By Sonam & Paras Modi, Payal Singhal and Abhinav Mishra. 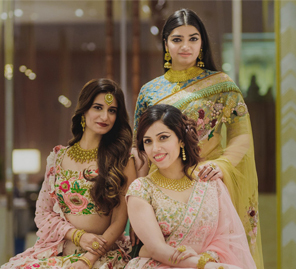 We can't stop gushing over how Sneha, Priyanka and Neha looked breathtakingly gorgeous at the WeddingSutra On Location. The picturesque aesthetics of JW Marriott Mumbai Juhu were a visual delight for the photography team of Knotting Bells. Here's a little sneak peek showcasing some of the candid moments as the brides got wedding ready. Stay tuned as we reveal the secrets of their beautiful transformation while they share their experiences and insights with WeddingSutra on Location.